As an avid listener to the Security Now! podcast with hosts Steve Gibson and Leo Laporte, I found out about the tool DNS Benchmark. It is a free Microsoft Windows program that also runs (using the Wine Windows emulator) on Apple’s Mac OS X and on modern Linux desktops. DNS Benchmark finds the best Domain Name System (DNS) servers for you, both in speed and security. DNS is like the Internet phonebook, which translates names we humans can read (like http://www.example.com) into numbers (IP addresses) computers identify themselves by on the Internet. Since everything new in your browser window comes from the Internet, and is fetched using DNS, choosing the best DNS servers can boost your browser performance considerably (30 or 40 percent in my case). Installing Wine on Mac OS X – Since it’s easy for Windows and Linux users (search in your repository for Wine) to get DNS Benchmark running, I will tell you how I got it running on Mac OS X. I went to the Wine wiki and found a link to an entry on how to install Wine on Mac OS X. Since I have an Intel Mac, running Mac OS X 10.6 Snow Leopard, I could use WineBottler. It’s in beta, and therefore still free, and for what I needed it (run DNS Benchmark), it works great. After you’ve installed WineBottler, you can open .exe files with it, and those Windows apps run on your Mac OS X desktop as an X11 application (provided they are supported by Wine, of course). You will need to install XQuartz as a replacement for Apple’s X11 (remember to install the latest version of XQuartz after every security update by Apple, because it will reset the X11 server to the one Apple maintains, and WineBottler might stop working). Once you’ve installed DNS Benchmark (and any additional programs needed to run it on Linux or Mac OS X), you can launch it. It is pretty straightforward, as with all of the apps made by Steve Gibson. It does what it does. Read the introduction carefully, close all apps that access the Internet (iTunes, mail, web browsers, etc. ), and click the Nameservers tab, where you can run the DNS benchmark. The program comes with a built-in set of nameservers, which it will use when run for the very first time. It will show you the results after a few minutes of testing, and in the Conclusions tab you will find some advice on what to do next. Then it will ask you to test for nameservers near your location. This test will take a lot more time (20 minutes in my case), and depending on your location, you will get whatever servers are best suited for your situation. This might even be your own ISP. Pick at least three of the top recommendations, so you have alternatives in case one of them goes off-line. If you have a router (and for the sake of security you really should), you might have installed 2 entries of DNS servers there (or had the installation script of the router do that for you). However, according to Steve Gibson, this is not optimal. It gives the already overworked consumer-grade router more to do, and that router will probably crash more often, due to the extra workload. Now here it gets tricky. After you’ve removed the list of domain nameservers from your router (different for every router, but it’s probably in the DNS section of the Internet WAN; I selected to let my ISP determine the DNS server), you need to put it on each computer (and WiFi-connected mobile device) on your network. In my case it was located in the advanced tab of the particular connection, in the DNS tab. On the iPhone, you will need to click the button with the larger than sign (>), at the right of the connection name (the hotspot the iPhone uses to connect to the Internet). I suppose it will be similar on Windows and a Linux desktop distro. Anyway, I was really satisfied with the result. My Internet felt “snappier”, less sluggish. Nothing wrong with that. I suggest you do this at least once a year, since the situation will change constantly. Your ISP might see the traffic to its DNS box drop, and upgrade it in response. 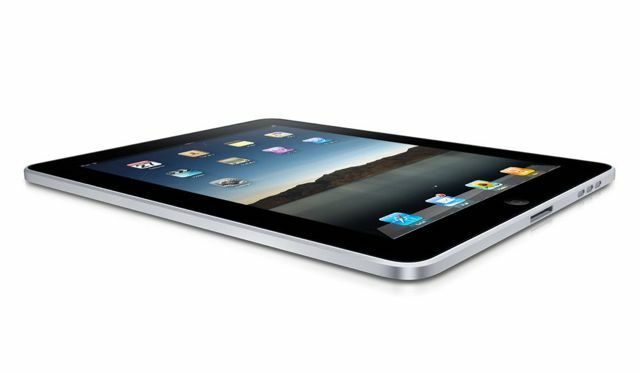 Yes, I have given in to my desire to own a shiny new thing, originating from the folks in Cupertino (read: Apple Inc.). Although I’m usually not an early adopter, in this case I wanted to make an exception. This really seems to be an entirely new class of devices, much like the personal computer was in it’s time. And having played with it for a day, I can wholeheartedly agree with that statement. While the PC made computing devices available to small business, the iPad and what undoubtedly will follow as much improved versions of this device will introduce computing power to our personal lives, to entertain and delight us. Yes, this is an entertainment device, primarily, not a device to assist us in getting work done. On the other hand, devices like this will make it very clear to employers that keeping your workforce happy, instead of squeezing every effort out them by demanding a performance-by-the-clock, will engage the workers to do more, take more responsibility, simply by offering a great experience to work in. I can only hope the daily grind will soon be a thing of the past. Everything that requires thinking should be done in an environment that fosters thinking. Sitting behind a device that, in its core, is just an typewriter is neither inspiring, nor fun. Both fun and inspiration are at the core of devices like the iPad, which help us to think past the here and now, and come up with original ideas and solutions that distinguishes your company from the competition. Nowadays there is still the tendency to copy the successful, instead of trying to find alternatives that might work just as well, or even better. So now I have taken it upon myself to write a comics viewer as a web application, what are the considerations for a first version of such an application? I will try to document my thought process through this post. It is most likely more posts like this will appear in the near future. So, please stay tuned for that. To start off, as a general rule of web application programming, versions should be released early and often, so the people who are going to use your application can provide feedback, make it fit their needs. It doesn’t have to be perfect or feature-rich at the outset. On the contrary, the simpler the better. Then there are the architecture considerations, which include security. You want to be as flexible as possible where you host your content (so it’s easy to change hosts), but also prevent that bad guys find flaws in your app, and take advantage of those. The Web can be a scary place if you don’t take good care of your data and the program code using that data. Now about the features, for which I really want your input, dear reader. What should I include in a first version at the minimum? It should be easy for a less tech savvy comics creator to determine the content (basically, where the comic’s image files are located on the Web). For version 1, I’m thinking of a text file on a server, containing a list of Web links to the image files. Once the comic is loaded into viewer, the comics viewer should be able to work as a stand-alone application without network connection. The controls should be simple and obvious, and very much like a native application. It should have some fluidity to it, so the reader will enjoy the content as much as possible. Of course, we all want as much features as we think we need, but consider that each feature will take both time, but, more importantly, energy to execute. That is why I opt for an app that has the fewest number of features, and still feel rich and worth while using. I suppose this also implies that in future versions, the comics creator should be able to customize his or her app for a specific experience that makes sense for a particular comic. We don’t want a bunch of bells and whistles, but we don’t want it barebones either. Each feature has to be considered and make sense for the reading experience. I suppose that would require a separate application to produce a customized version of the comics viewer. However, all of this will not be included in version 1. What we certainly don’t want is a generic comics browser that doesn’t stand out from the crowd. Such a browser is not worth using, hence not worth creating. Also, I suggest for version 1 to limit ourselves in our designs to mini-comics suited for small screens, like the iPhone. The person reading a mini-comic should be able to finish it in a few minutes (the typical time people are waiting in line or are having a short break at work to re-energize). This means a vertical format (portrait orientation) is preferred and page spreads are discouraged. Preferably, readers are going to see one page at a time, and shouldn’t be required to zoom in and/or pan to be able to read the comic. The constraints on format and layout may come over as a severe limitation, and you would be right there. However, I think independent comics creators should be able to adapt themselves to a new medium, what mobile devices actually are part of. The rules of print media have to be re-evaluated and adjusted. You can’t expect what works in print to work on a small size screen. I personally see the mentioned constraints as a challenge. It is something where independent creators can distinguish themselves from large comic book publishing companies, who are still heavily invested in traditional comics on paper. Their digital comics are mere facsimiles of a print version, instead of being tailored towards the new mobile medium, with its short attention span of people on the go. If you need to sit down to have the “full experience”, you are missing the point of having a device in your pocket. Those are some of my initial thoughts. Please provide some feedback, so I’m able to steer myself in the right direction. I can’t do this without you! A bit of tasteless video from the folks of Revision3, featuring Apple Inc’s newest hot product. 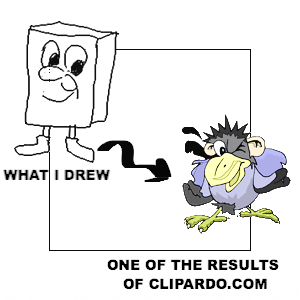 If you can draw, but don’t know what to draw, clipardo.com might be what you’re looking for. You doodle something in a window, hit the search button, and you’ll get all kinds of clip-art the service has decided matches your drawing. Computers are bad at recognizing content and meaning. Normally that is a bad thing, but here it is a feature. Its “artificial intelligence” doesn’t think like humans, so it comes up with totally unexpected results. This is what you want, because, remember, your human brain couldn’t come up with something to draw. The computer “brain” obviously could. I had installed the latest version of Ubuntu (UNR 9.10 – Karmic Koala) on my netbook, accepted that not everything would work, but got disappointed when at some point even the USB mouse didn’t work anymore. I’ve installed drivers, look on Google (several pages down, not just the first search results), and NOTHING. 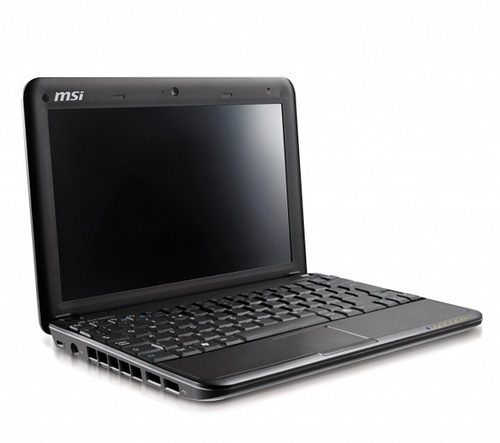 No one seemed to have found a solution to get the msi wind netbook to work with Ubuntu as the operating system. But I did! It’s not a driver issue at all. It is a USB setting in the BIOS. When the computer boots, keep the DEL key pressed, to enter the BIOS menu. Navigate to Advanced – USB Configuration with the cursor keys and press the Enter key. Set the Legacy USB Support to Auto. Now press F10 to save and exit, confirm the pop-up and reboot into Ubuntu. Most of the issues with built-in peripherals not working should be over now. There is still the issue of the flashing screen (for some reason the screen brightness setting is automatically triggered). My workaround: In the menu bar, right-click on the loudspeaker, navigate into the pane that pops up, and the irritating flashing goes away. If you don’t have a lot of space on your desktop (the one that holds your computer and peripherals) and you can’t have both your keyboard and Wacom tablet next to each other, using a virtual keyboard seems like a sensible solution. I tried Apple’s built-in Keyboard Viewer, which has the big drawback that it doesn’t behave like a real keyboard. Things like Command-Q to quit a Mac OS X program don’t work. In fact, Keyboard Viewer is nothing more than an alternative to the Character Palette application. Because of it’s very limited use, I will not go into how to make it possible to launch Keyboard Viewer as a menu item (in the menu bar). Searching for an alternative on VersionTracker, I found this neat application of an Italian software developer called VirtualKeyboard. It costs $19.95 for use on a single user account, and $49,95 if you want to use it up to 7 Macs. There is a 14 day trial period to test it out. It is meant for people with a disability, but you don’t have to be disabled to use it. The application has a limited option for text expansion, good for casual use. For power users among you I suggest reading an excellent blog post by Crass Pip: Text Expansion: Wasting time trying to save time. Even if you don’t care for his review, he does mention the three text expansion applications available on Mac OS X. One of those will probably serve your needs better than what VirtualKeyboard has to offer.